Combine all ingredients in a blender and puree until smooth. Strain the mixture through a fine mesh strainer, then discard the solids. 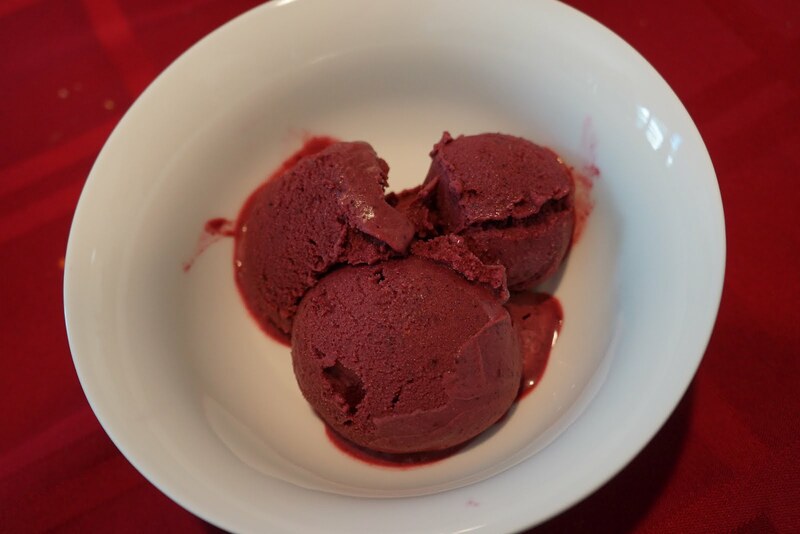 Freeze the strained puree in an ice cream machine according to the manufacturer’s directions. Scrape the frozen sorbet into a container with a tight-fitting lid, and freeze for 1-2 hours, or until it’s firm but scoopable. To store the sorbet, press a piece of plastic wrap directly onto the surface, then cover the container tightly. It should keep in the freezer for a month or two–possibly even longer, if you have more self-control than I do. It looks and sounds wonderful! Cool for the summer, and sweet too! Thank you for sharing!